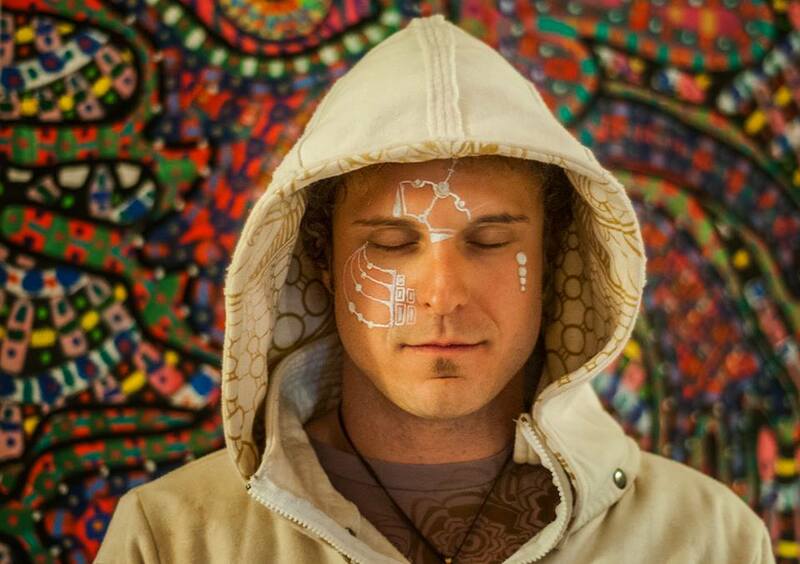 Ryan Greendyk is a conscious internet entrepreneur, writer, kundalini yoga teacher, psychonaut, and sacred space creator. 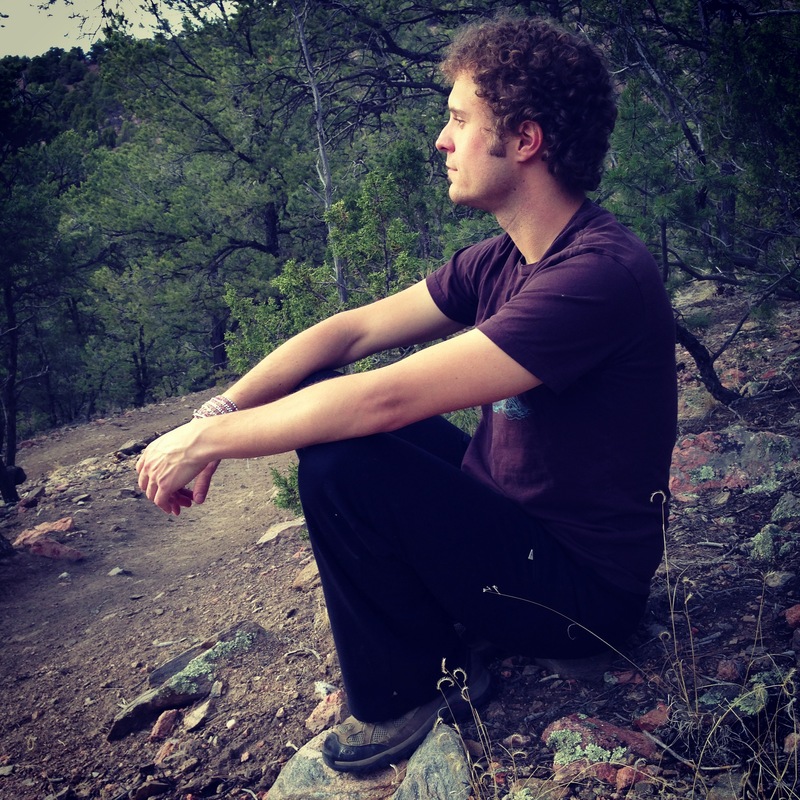 He’s pretty fond of tea ceremonies, entheogens, transformational festival culture, superfoods, gifting, spiritual philosophy and practice, alternative healing modalities, and spontaneous outbursts of love. In a nutshell, he’s dedicated to co-creating a sustainable planetary culture based on integrity, creativity, intentional play, and spiritual self-mastery. 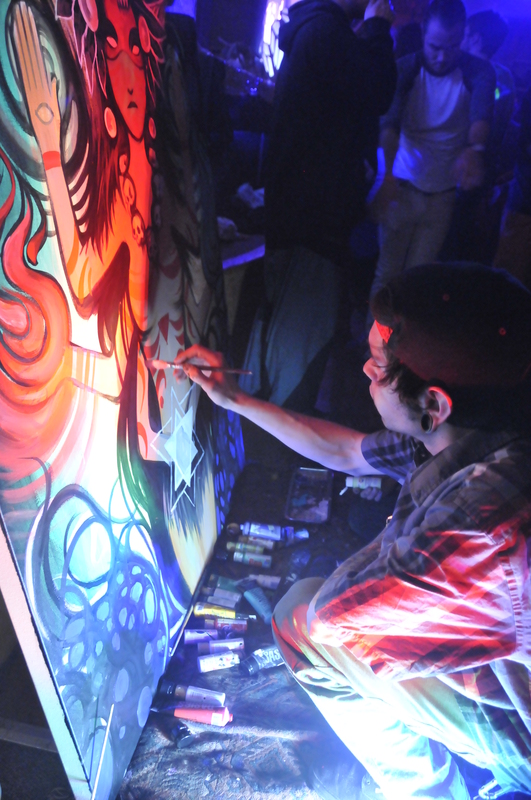 He is the Founder of Lightlab and the Producer of Lightlab Events. You can find out more about his work (and play) at www.lightlabcreations.com and www.ryangreendyk.com. I was trolling the pages of Facebook late one night last month after an evolutionary ritual and learning session on my personal healer’s journey in which I was given a very strong message to learn the ins and outs of energetic psychology on all levels. Up popped a random article called Unleashing Spiritual Potency: Keys to Understanding Kudalini Energy in my algorithm stream originating from Lightlab–this alluring new space online. Following the synchronistic web crumb, I discovered your marvelous universe encouraging me to “raise my frequency, recalibrate my body, and activate my life.” How and why was Lightlab born? I’m so glad that synchronicity led you into the Lightlab universe. It’s always wonderful to hear that my writings are making their way into the minds and hearts of people with aligned visions and curiosities. I believe that language is its own sort of multi-level energetic psychology, which, if leveraged from a place of poise and integrity, can make pretty magical things happen. My intention is to structure my ideas and writings in such a way that they diffuse into the subtle landscape of culture and become a system of attractors—a sort of resonance pattern that naturally draws in others who believe that it’s about time we co-created a more cohesive, more sustainable planetary culture. When people like you synchronistically tune in to that signal, it affirms that I’m heading in the right direction…so thank you! Lightlab was birthed as a container for this kind of community building, meme recalibration, and planetary culture creation. It’s a living laboratory within which new ways of being may be discussed and explored, a transformational ecosystem of content, products, events, and people dedicated to establishing a culture of right relations. 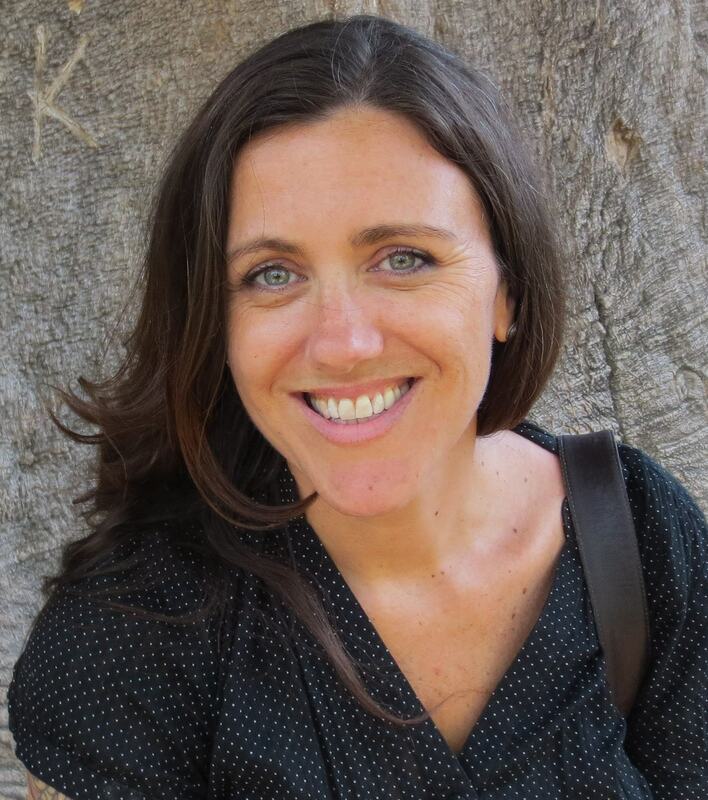 Because cultural and planetary transformation begins with personal transformation, much of the site’s content offers wisdom geared toward actionable self-development. All of the articles are oriented around what I call the four keys to personal and planetary activation: personal right relation (holistic health and nutrition), interpersonal right relation (communication, service to others, and community building), extrapersonal right relation (eco-stewardship and Earth awareness), and transpersonal right relation (spiritual practice). 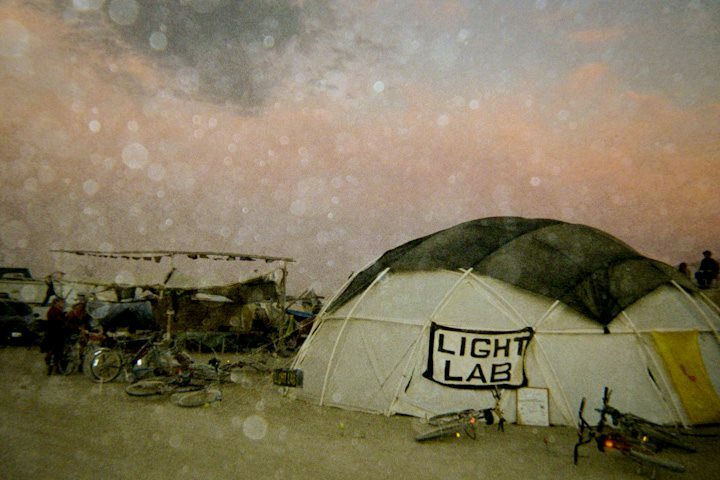 Lightlab had its first incarnation as a theme camp at Burning Man, where we offered yoga and meditation classes, Reiki and bodywork, workshops, morning prayers led by a Lakota medicine man, sunset tea ceremonies, essential oil and superfood elixirs, and more. 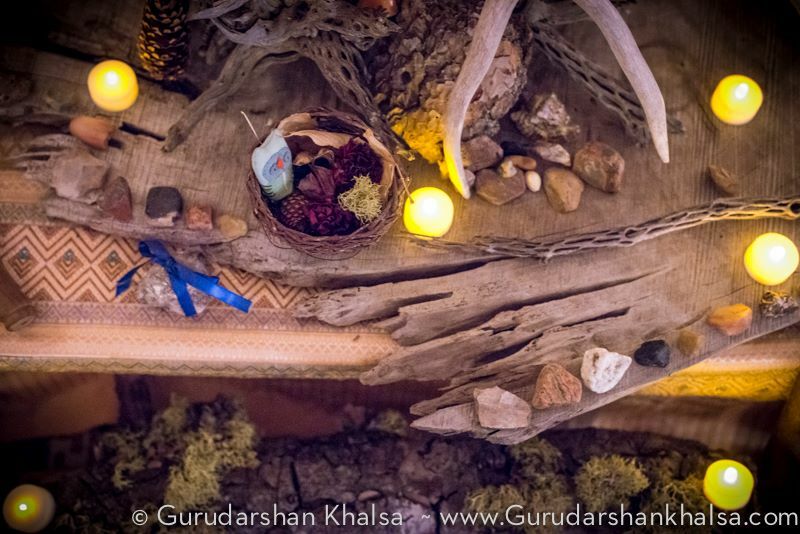 We’ve carried on this tradition by producing transformational events in Santa Fe, New Mexico. My intention was always to make Lightlab a geography-independent movement, though, so I developed the website to allow for a more widespread diaspora of ideas and intentions. There’s certainly a lot to unpack in that summation, but I figured I’d show my cards right from the start. Thank you for that summation. I really honor your endeavors and am thrilled to know you are out there illuminating human sparks as a progressive and evolutionary conductor. It is so greatly needed. We are in a time of such great responsibility. It seems that now more than ever, with the accessibility provided by technology, and the ability to connect to the rest of our worldly peers, our dialogue really needs to be about transformation from the individual mentality to the universal. I like that your work fosters this is a non-egoic way and that your articles, regardless of subject, have a real authentic purity in their messaging about how we need to consider operating in the world for the higher good. For without the boundaries of our bodies we are just one great electrical system striving to get its synapses to recall the fact that we are together, not separate. I wonder if you have any ideas on why this great disassociation between humanity and our original source happened in the first place? We obviously have thousands of tales and theories from the biblical to the scientific to the nature of dualism as an essential life force. And we have an equal amount of reasons why this may have occurred, what we are supposed to learn from it, and what we are striving to accomplish in the end from enlightenment to heaven to nirvana. What are your feelings? I do find it interesting that even the quantum physics realm of explaining the world has opened up to realize our great, foundational mechanical system incorporates a matrix of human emotion, intention and love as key reality-manipulating components of its overall operating system. Then, when we act from solidity in those four quadrants of our lives, we are constantly maintaining a balance that allows us to come from your “integrity and poise” at all times. What’s so interesting to me is that this balance is inherent to us when we are born, we are equipped with all we need to treat the energetic as well as physical bodies with care. But we quickly learn to extinguish the inner worlds we are familiar with in lieu of the external, societal world forced upon us. Again, the reasons for the initial disassociation with our true selves baffle the mind. Especially when culturally, we have examples like Traditional Chinese Medicine and Ayurvedic philosophy where maintaining health on all mental, physical and spiritual levels as key to our overall health and happiness are clearly substantiated. I think that once we are aware of the four keys as the way we hone and cultivate our life, it makes us accountable. Over the past five years I have seen a lot of great light workers check out of our planet through willing suicide or drug overdose death and in many of those cases, it was because they were striving to step up to a new level of accountability knowing that it was time to be integrated within their four keys you discuss and something, whether it be past traumatic, psychological pain that kept them stunted in patterns of behavior; or just an inability to commit on that level; made them feel overwhelmed enough to want to escape the bodily plane and return to non-thinking, free-flowing light. After discussing this with a shaman, he told me this was an age where great strength and will was required and that it is an essential thing for light workers not only to work on their chakra centers but on the connecting meridiens between them like the blocks that might exist between will and heart and heart and voice. That these would be essential parts of assuring the power needed in this century. I like that you’ve taken your container from the Burning Man playa onto a non-geographical space. 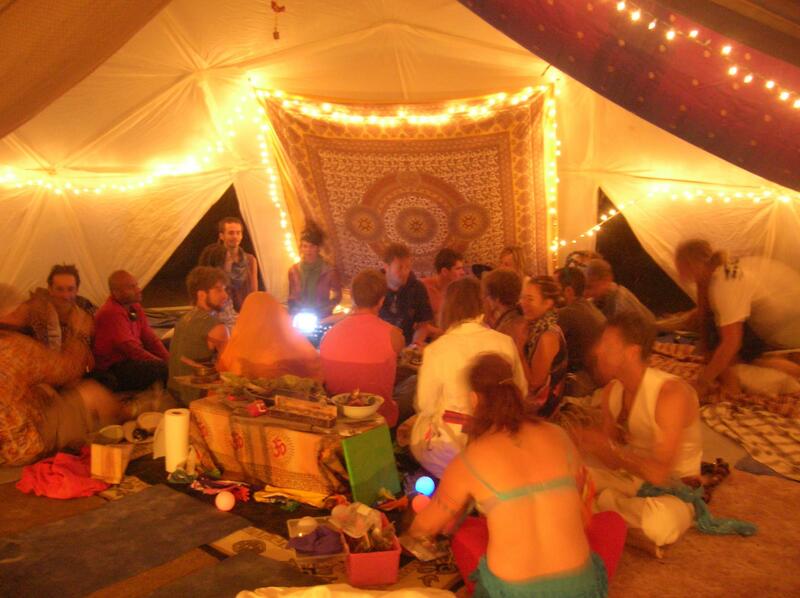 By the way, one of your writers Docta Nick was my campmate in an intimate, nine-person camp called Harmonic Convergence in 2011. We were also a healing camp and invited people in to sing with us. We mostly sang the Menomena Song full costume and encouraged others to come serenade us or belt out whatever they wished at the top of their lungs. I think creating a web space is a great way to bring work done in the Burning Man container out into the default world. Let’s talk about the default world for a minute. I tend to think of it in a more positive way than a lot of my activist friends. I had this experience, and I continue to have this experience in my life, where I am more of a “straddler.” What this means is that I tend to float under the radar in a more neutral space where it’s hard for the blind eye to associate me with any overall group, mentality, subculture, etc. I have always been kind of a lone wolf and my weapon has always been my heart and the way I absolutely love people. This has made me a not so great activist, a not wonderful banner waver, etc. I just like communicating from the heart with people and through the written word and art. A friend once got angry with me for not joining a large political group that had, at its core, an issue I cared deeply about. I explained that we all operate differently in this world and that my specialty was in getting through to lots of different audiences and if I had a caption under my name or a affiliation that was in conflict to a potential reader of my universal messages that I would risk that reader pigeonholing me from the start and thus never getting to the truth in my words. I still operate this way and am better one on one with people because of this. When I came back from Burning Man one year, I lived in a bungalow in Venice Beach and I would take my bicycle out every morning and do smile experiments with people. I would smile at everyone I came in contact with. Yes, some people turned away and thought I was strange. Isn’t THAT in itself strange? But the majority of people, of ALL shapes, income brackets, belief systems, races, etc. truly smiled back at me –many of them stopping to talk with me and let me know how much they appreciated the authentic smile. So I think we’ve put up a lot of boundaries and dividers between ourselves culturally, ideologically, and otherwise in this world and I think that can be a huge flaw on both sides–when we continue to think it’s the “other” side that doesn’t want to engage. I think opening up our heart chakras back to the idea of unconditional love and human compassion is greatly needed in cadence with everything else. You’ve opened a huge can of worms in my mind as you can clearly see. Thanks for your kind words. It’s a blessing to serve the community. I certainly agree that any work that seeks to ameliorate our “great dissociation” is profoundly and primarily important at this point in history. Your question about the origin of this ontological divide is obviously a major rabbit hole, but I’m always up for this kind of metaphysical frolic. This past weekend, some friends and I came across a bull snake climbing down an old rock wall. He would slither delicately through the nooks between the rocks, wrapping himself in intricate geometric patterns around their contours, sometimes spanning nearly half the height of the wall. When he finally reached the bottom of the wall (after no small exertion of effort), he rested for a moment, and then began ascending the wall in the same fashion. Someone remarked how curious it was that “he would come all the way down, just to go back up.” It struck me that this snake’s course is quite similar to that of our own cosmic evolution. 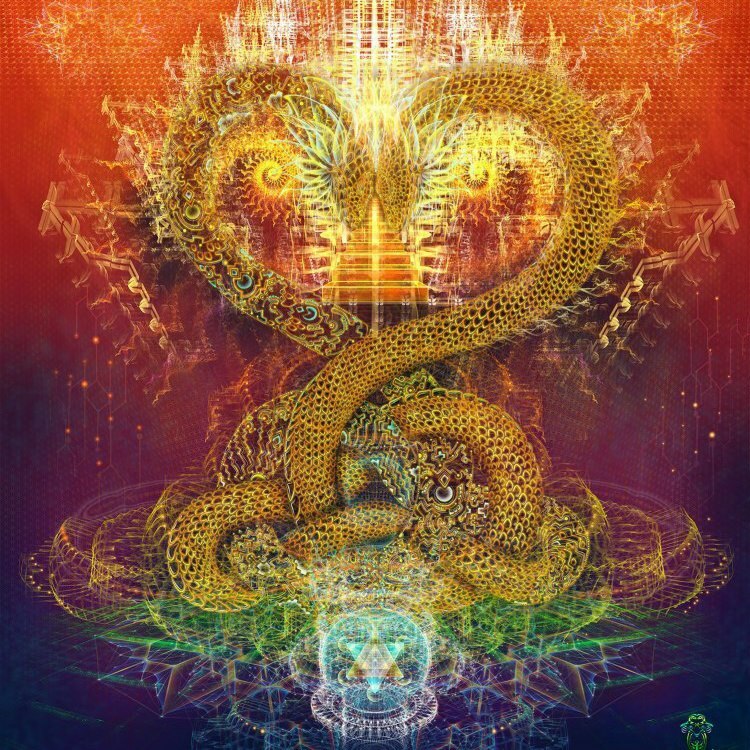 In fact, the serpent has been a revered symbol of spiritual potency, esoteric mystery, and the intertwining of dichotomous poles since the dawn of human thought. The Vedas and the Puranas of ancient India (from which texts nearly all of the world’s spiritual traditions may be extrapolated) speak of the dissociation from Source as merely a small part of an infinite, cyclical process of unfolding and refolding. Meher Baba likes to refer to our unfolding’s genesis as the Whim—the moment when Unmanifest Totality realizes that it would be pretty neat to know itself. And thus the Transcendent begins its serpentine descent into phenomenal reality to experience the total elaboration of its Wholeness through differentiation. At a certain point, when the pendulum reaches the bottom of its arc, the involution back towards Spirit begins, and all kinds of wildness and magic ensues: self-reflective consciousness, love, devotion, spiritual practice, noospheric thought and experience, and other ascension symptoms. I believe that our world’s ludicrously unsustainable and individualistic ways of being are simply exacerbated reflections of this same overarching process of differentiation mentioned above.. This is not to say that fingers can’t be pointed at certain negative identity gestalts, historical trends, practices, or people; I just find it much more helpful to strive for systemic understanding than to cast blame. In many ways, putting any modicum of faith in the doctrine of cyclic evolution and involution is tantamount to believing that it’s only a matter of time until we grow up and mend our ways. And if that’s the case, why are we all so terribly concerned with working so hard to change things right now? Things will all work themselves out through the unerring Divine Plan of cosmic iteration, right? Well, yes…but human beings just might not be here to see it if we don’t change our tune. This is the paradox of modern lightpath: we must learn to rest in the bottomless patience required to awaken to our infinite selves, while yet remaining vigilantly dedicated to the work of restoring balance to our planet and species. Evolution will continue regardless, but it will clear the planetary Etch-A-Sketch and return to the drawing board if necessary—and that would just be a terrible waste of energy. As you said, though, we’re all born well-equipped to live in right relation; we just need a little recalibration to get us back on track. While your shaman friend is absolutely right that walking this path takes great courage, I can’t help but think that this strength can readily be provided by some healthy food, conscious community, a strong connection to the Earth, and a daily spiritual practice. And I see no reason why these four basic concepts can’t make their way out into the default world, as well. We might toss around some crazy vocabulary, but at their simplest level, these life orientations are ones that can be understood and appreciated by anyone. When enough of “our choirs” imbue every moment of their lives with these principles, we’ll reach a tipping point, a moment when the resonance pattern to which the default world entrains will begin to look a lot different. It will take some time, but bridges can be built. I definitely resonate with your lone wolf story, as I’ve also always felt like a bridge between many cultures and groups. My deep involvement in the online entrepreneurial community has given me plenty of exposure to the default world of business and economics. Rather than rejecting this paradigm as the offspring of an evil system, I’ve chosen to leverage it for the good of our planetary community. While my identity as a “straddler” sometimes manifests as a sort of Faustian self-frustration (during which times I fantasize about how great it would be just to choose a side of the fence), I ultimately view it as a blessing—a karmic hand-me-down that keeps me on my toes and teaches me how to walk the razor’s edge of awareness. Your story about the snake really brings the point home that we all have an internal rhythm that’s natural and when we get out of our own way via mind chatter it keeps flowing, and in fact, will continue to flow regardless of whether or not we learn to give in to the process and find our own place of peace within its vast, universal truth. And the unfolding and refolding within that infinite, cyclical process will perpetuate itself regardless of the tiny existential crises we act out while contemplating it. (This fact alone makes me sort of giggle, smile inwardly and feel compelled to go outside and play.) Of course this is more complex to grasp as it also coincides with the realization that we aren’t as important as we think we are. That our small slivers of existence in contemporary space and time carry no real weight or meaning (on an individual, ego-satisfying level) other than contributing energy to the overall momentum of one direction or another. And that our only option really is to choose what side of the equation we will spend our life giving power to – the one that is disassociated from our true natures or the one that brings us back to source. This kind of discussion creates the internal impetus within me to remind myself to be present and to seek out joyful moments because the now is truly all we have. So, getting back to Lightlab, I notice right now that your site is basically a compendium of articles and a call for contributors in a variety of forms. Can you tell me more about that call and what you are hoping to bring in, ignite, and create aside from the wonderful reading material? And, are there any personal projects, goals, manifestations, or events within that container that you are currently working on or seeking collaborators for that you wish to share? I love that the overwhelming magnitude and complexity of the evolutionary imperative ushers you into a state of playfulness; I think that’s the best possible reaction for which any of us can strive. It’s so easy to succumb to a sort of existentialist pessimism when faced with the enormity of the Whole—but in my opinion, child-like awe is just so much more helpful. This smiling surrender to that which is incomprehensibly greater than us is the key to discovering just how significant we are. As Ram Dass puts it, “The most exquisite paradox is that as soon as you give it all up, you can have it all.” Only when we make the choice to set our individual egos aside (thus demonstrating that we’re ready to accept the responsibility of higher awareness) can we realize that we’re just as big as the Wholeness the brings us to speechless, giggly wonder. As above, so below, Atman=Brahman, and so on. It’s a pretty ingenious setup. So yes, back to Lightlab. The site has a whole backend mycelial network of planned concepts, and you could say that the current compendium of articles is the first fruiting body of that network. I wanted high-value content to be the first and highest priority of the initiative; thus, I’m still on the lookout for more writers who are interested in signing on as contributors. You’ve probably noticed that my writing tends to fill the “spirituality/transpersonal right relation” niche most naturally. Rather than trying to cover the other three keys all by myself, I’d rather welcome the right individuals who would like to collaborate in that regard. I’ll also be incorporating a “correspondences column” before long, which will feature weekly pragmatic articles that offer life guidance through lens like astrology, tarot, and chronobiology. Lastly, there’s a Lightlab podcast and YouTube channel on the horizon, as well. Beyond content, the organization’s vision extends to the establishment of a transformational e-commerce platform (which is currently under construction), an online Academy/Ashram for training courses, books, and other information products, and a plethora of festivals, retreats, and workshops. My long-term goal is to develop an expanding network of self-organizing sanctuaries and communities, within which we can put all of this right relation talk into practice on a large scale, thus creating the physical, grounded version of that “system of attractors” that I was talking about before. And as more and more of us initiate similar projects, we’ll create a progressively stronger resonance pattern, a new driving rhythm to get our society dancing more harmoniously. But I’m getting ahead of myself. For the time being, I would love to connect with anyone who’s interested in being a contributor, collaborator, interviewee, workshop facilitator, organization member, or general supporter. Also, if anyone has a transformational product (think health products, jewelry, organite, earthing mats, crystals, and other spiritual technologies, art, clothing, and more) that they’d like to offer through the Lightlab e-commerce platform, I’d love to hear about it.